Life can sometimes a hectic monstrosity so it's important to take a moment to unwind, enjoy, & breathe. Whether you choose to meditate, grab some dinner with a friend or spend just half an hour watching your favorite show at the end of a busy day, you need that moment to relax. According to the National Institute of Mental Health (NIMH), chronic stress can lower your immune system, cause headaches & sleeplessness, affect your mood such as anger or irritability, & more. That said, be sure to spend a little bit of time every day to calm your soul. 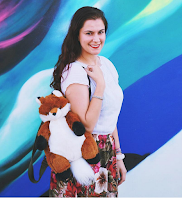 Here are five things that I am loving right now. These are things that bring me joy, make me smile, & make my quality-of-life a little bit better. I spotted this fruit at my local grocery store & picked it up immediately. I normally don't see them around these parts. Dragon fruit, also known as pitaya or pitahaya, has a mild flavor with not much sweetness. In my opinion, this dragon fruit was opened before it was ripe. Then again I've never tried dragon fruit so I have nothing to compare it to; I did some Youtube research & it seems that a ripe dragon fruit has crispy brown leaves & kind of looks like it's dying. Mine was a beautiful green & pink hue. Regardless, I think it's gorgeous. My boyfriend & I took a break from our usual watching of The X-Files (still have two seasons to go) & blasted through this baking series. This show is about British bakers competing to be the best amateur baker in the U.K. I really liked it because they baked a wide variety of items, many of which I've never heard of such as a kouign amann, prinsesstårta, & schichttorte. Basically, it felt like I was on a trip around the world. Yum! I mean come on! 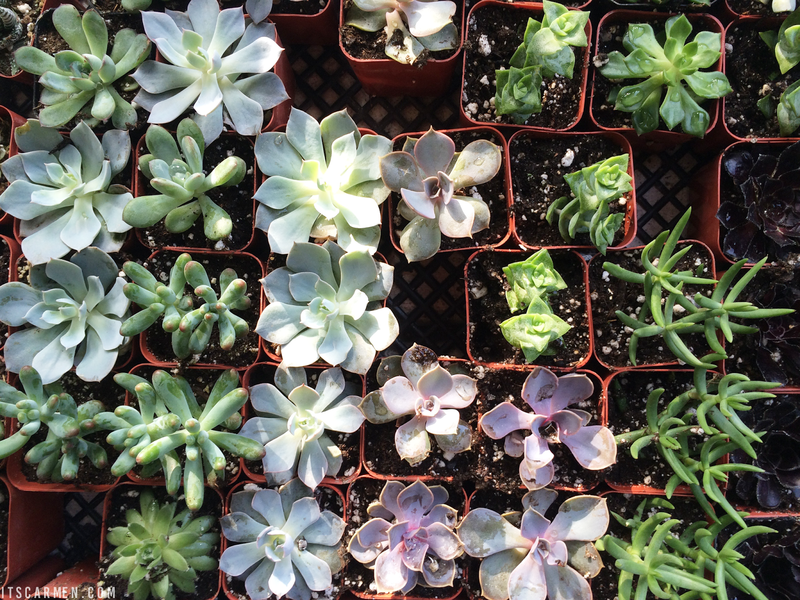 How cute are these succulents? I'd like to say that I'm actually pretty good at caring for plants, but succulents are especially perfect for those of us who aren't green thumbs. They've become the new trend & I don't blame anybody. They are adorable. They are versatile. They are easy to keep alive. Go ahead & buy some if you haven't already. In San Diego it's barely started to mildly cool off. It's still hot enough at night where I have a fan on, the window open, & a light sheet to cover me. But by the time it's five or six in the morning it gets pretty chilly. Yay! That counts for something to me. I've been making an effort to go on walks/attempt to jog more regularly & I spotted the first sign of autumn leaves. They're gorgeous. Gwen Stefani is on fire these days! I saw her play with No Doubt last month at KAABOO & she/they rocked. Just so you know her abs are seriously rock solid. Gwen is currently in the news for a couple reasons: she's pairing up with Urban Decay for an eyeshadow palette & her new single "Used to Love You" just came out. Music video has gotten mixed reviews, but I love the song. Go Gwen! Sign up for my brand-new newsletter! I'll have exclusive tips on how to grow your blog, your readership, & your following! I am always loving Gwen Stefani. 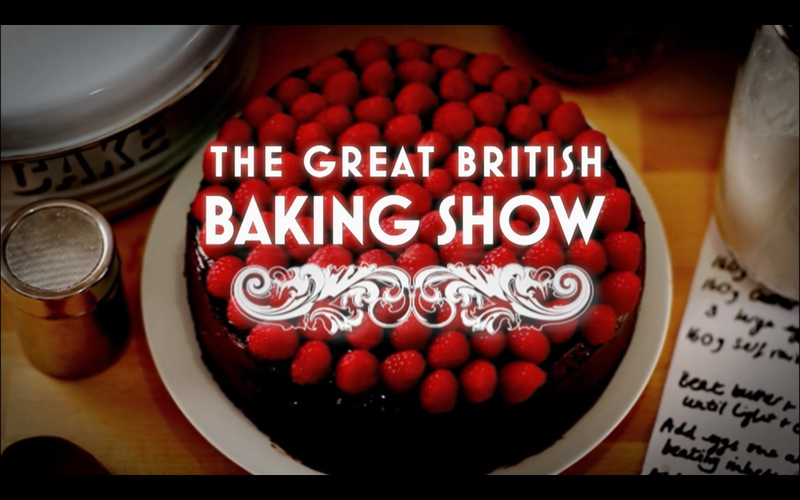 I was scrolling through Netflix and saw The Great British Baking Show and wondered if I should add it to my list to watch so your review was helpful. I love Dragon Fruit! We get them more often in Asia, I think, but I haven't had them in a while. Gwen is amazing and all, but I've been ABSOLUTELY DYING OVER ADELE'S NEW SONG AND SINGLE. To go into the detail would mean an entire comment in complete caps, so I shall just leave it at this: I AM SO EXCITED FOR HER ALBUM. I hope you have an ace weekend, Carmen! Not sure about the taste, but man is that dragon fruit a beauty to look at!! 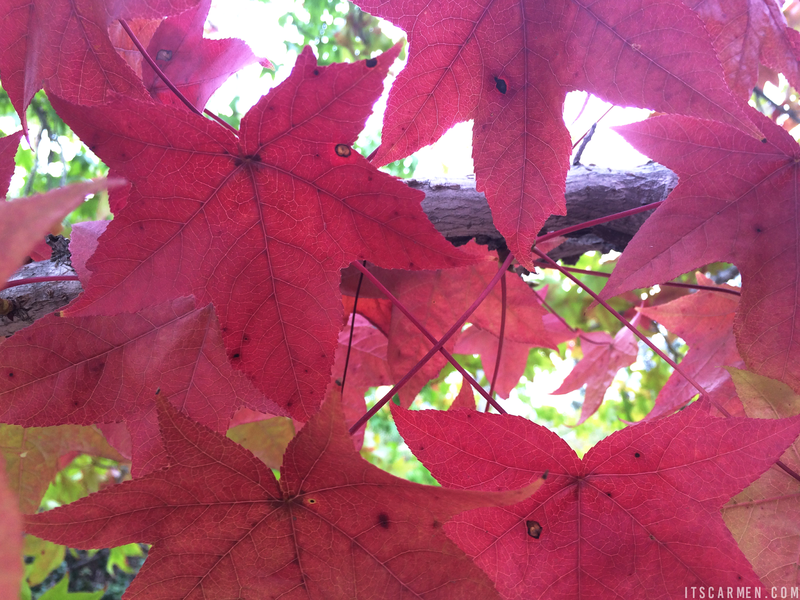 I love autumn leaves - so glad that cold weather is finally settling in!! I personally HATE Gwen Stefani, I think she is overrated, but Dragon fruit.. YES!! The fruit looks so good! I still haven't tried dragon fruit and so need to! My cousin's wife was on the GBBO last season so I watched it then, lovely show! :) The succulents look so nice!!! And I saw Gwen Stefani recently on a show and realised I need to look into her music again, it's been a while but I used to love her! Aww, now you make me want o have dragon fruit, damn I missed it! And I wish, hope, pray that I'll one day have rock hard abs like Gwen....but I think it'll forever remain as a dream cause I couldn't be arse with eating right. LOL! Absolutely loved this post. I have never eaten dragon fruit but this pic here makes me want to eat it now. 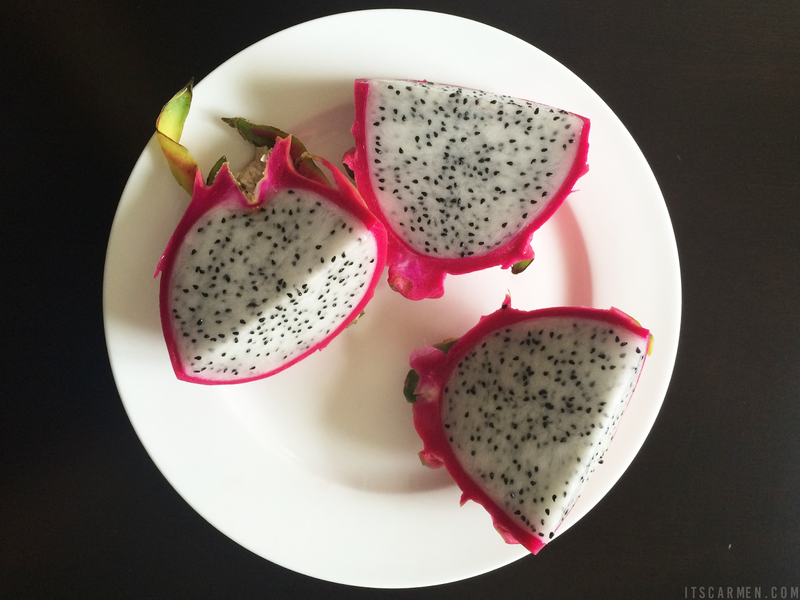 I never tried dragonfruit, but tasting exotic food is something I greatly enjoy. That dragon fruit is so pretty! I went to Brazil last month and I was so fascinated by all the cool fruit they have there! I love that you are enjoying Bake Off! It's such a huge deal here in England and is so popular, doesn't it make you hungry when you watch though?? Is The Great British Baking Show what is called The Great British Bake Off here? The one with Mary Berry and Paul Hollywood as judges? I LOVE it! It always makes me want to get baking! The Great British Baking show is so cute! I love Gwen and her new song. Although I don't want her to hurt, her songs about heart break are by far her best. While watching the video, at first I was thinking WTF is this? Then as it went on I got it. I think if people watch the entire video they will hopefully understand it. It's not a video to watch over and over again though. I'll look for that baking show the next time I'm looking for a show to binge watch. Last show I binge watched was Red Oaks. Even my husband liked it. Lovely list! That dragon fruit looks so beautiful! I loved watching Bake off! It's so addictive. i remember see No Doubt many many years ago and they totally rocked. i would see them again for sure. i love the look of succulents and have been thinking of getitng a few for the apartment.haven't gotten around to it though.